In 2018, adidas© continues to lead the way in sportswear design around the world. For the Spring 2018 tennis season, adidas© is putting out new editions of the popular Men’s Barricade tennis shoes, Men’s Adizero tennis shoes, and Men’s ClimaLite apparel. 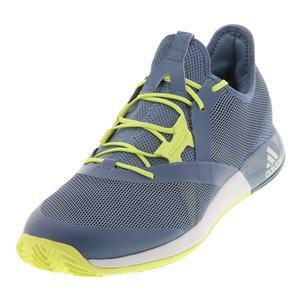 I feel that the new Men’s Barricade 2018 Boost tennis shoe is the best shoe on the market. 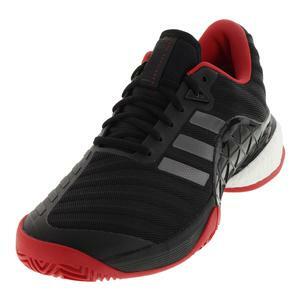 adidas© has continually improved the already trendy and popular Barricade shoe. The new shoe has flexible mesh with abrasion-resistant AdiTUFF technology that wraps around the toe and forefoot to help prevent against toe drag. Additionally, this new shoe has a GeoFit build to enclose your foot for an anatomical fit with comfort. This technology allows players of all ages to feel confident on court with solid performance and durability. This shoe comes in Black/Red, White/Matte Silver, Black /White or White/Black and comes with a six-month durability warranty. 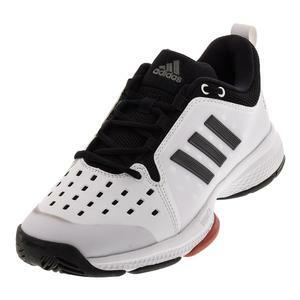 adidas© has also released two lighter versions of the Men’s Barricade called the Men’s Barricade Classic Bounce and Men’s Barricade Club. The Barricade Classic Bounce uses Bounce technology to give a springy, energized feel to your game as well as AdiTuff and AdiWear 6 technologies to help the shoe remain resistant to abrasions when you play. The Barricade Club uses lightweight air mesh support that allows your feet to breathe, while also providing superb comfort thanks to the AdiPRENE and AdiPRENE + technology. Similarly to the other Barricade shoes, the Barricade Club also includes AdiWear 6 technology to deliver maximum durability. 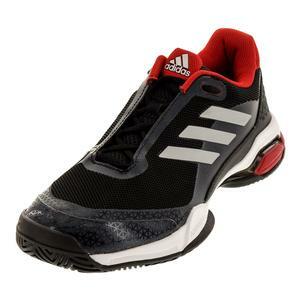 The Men’s Adizero tennis shoes continue to gain popularity in the industry. This shoe includes a two-layer stretch mesh for maximum cooling and a seamless bootee for a lightweight comfort feel. You will see this mesh construction on both the Men’s Adizero Ubersonic 2.0 tennis shoe and Men’s Adizero Defiant Bounce tennis shoe. 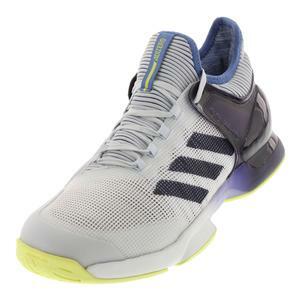 The Adizero Ubersonic 2.0 shoe will also include the same technologies found in the Men’s Barricade 2018 Boost tennis shoe, while the Adizero Defiant Bounce tennis shoe will include the Bounce technology. condition. However, the company is keeping up with popular fashion trends and going towards slimmer-fitting attire. As seen at the 2018 Australian Open, pro players Alexander Zverev, Tomas Berdych and Lucas Pouille were rocking the Melbourne Printed Tennis Tee and Melbourne Tennis Shorts in various light colors. Dominic Thiem and Jo-Wilfried Tsonga also made a grand statement at the Aussie Open with the Pique Tennis Polo and Melbourne Bermuda Shorts. On the left is Alexander Zverev in the Melbourne Striped Tennis Tee Hi-Res and Melbourne Tennis Short with the Adizero Ubersonic 2.0 Tennis Shoes (Jan. 16, 2018 – Source: Ryan Pierse/Getty Images AsiaPac). On the right is Jo-Wilfred Tsonga in the Pique Tennis Polo and Melbourne Bermuda Tennis Short (Jan. 16, 2018 – Source: Ryan Pierse/Getty Images AsiaPac). Going into the spring tennis season, we know that adidas© will maintain their intriguing fashion style with spectacular design. Watch out for these pro players to swing in new adidas© trends during the season. Start shopping today at TennisExpress.com for the 2018 Men’s Adidas Spring Apparel! Also check out our blog page for new shoes from other brands in 2018.